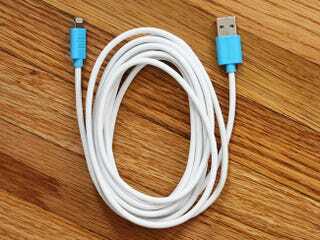 We've organized a special discount for Kotaku readers on this epic lightning cable. How can a lightning cable be epic? When it's 10 feet long, that's how. This is the ultimate stocking stuffer – now you can charge your phone from across the room. Kotaku readers can get one with free shipping for 52% off – just $18.99.